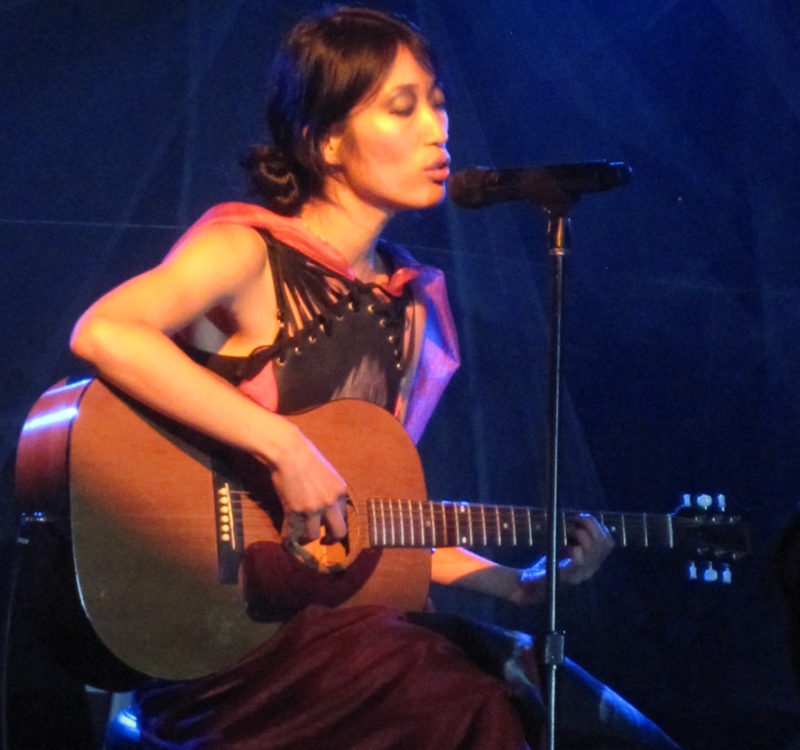 Jihae, the coolest Eileen Fisher model ever, will sing for you tonight | Will You Miss Me When I'm Gone? We have no idea what exactly what Jihae was trying to do when she made a musical with playwright John Patrick Shanley out of her Fire Burning Rain album a couple of years back. 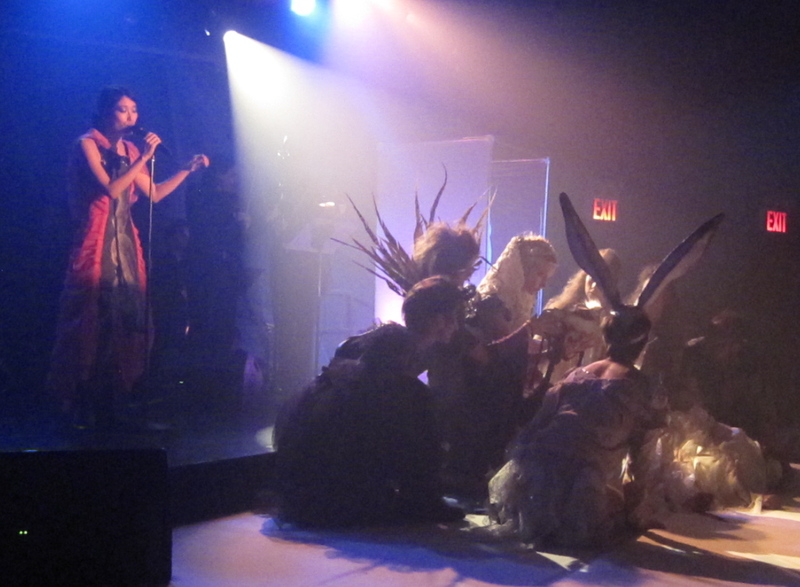 When we saw it at (Le) Poisson Rouge in 2010, we were thoroughly entertained by its A Midsummer Night’s Dream-like characters and just as thoroughly puzzled by its inscrutable plot. But it certainly was ambitious. That’s a word that seems to apply to just about everything Jihae (birth name Jihae Kim) does. 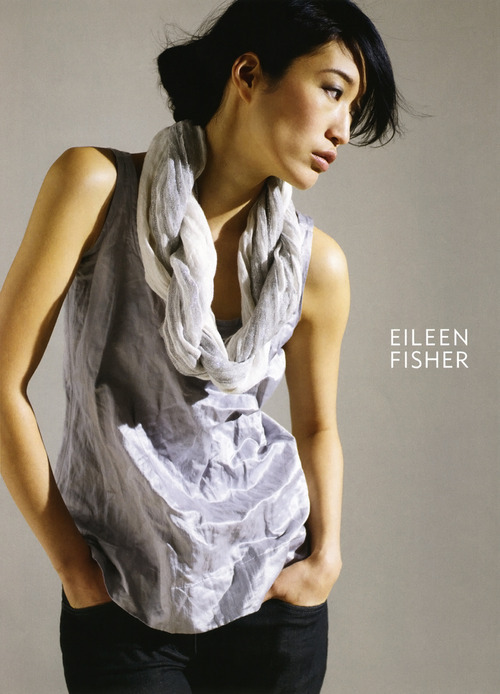 Jihae in an Eileen Fisher ad. You may know her better as the lanky, dark-haired model for Eileen Fisher’s clothing. She’s been featured in Fisher ads for years, and is the most recognizable non-supermodel we can think of. Tonight she’s back to music. She has an album coming out in the spring, featuring collaborations with her wide circle of friends, including the Eurythmics’ Dave Stewart. But who knows what she’ll be performing at the Mercury Lounge for an early show tonight. She’s made three albums and one EP in her career, so she’s got plenty of material to draw from. This could well be one of most unusual shows you’ve ever seen at the Mercury. Or it could turn out to be a classic girl-with-guitar gig. 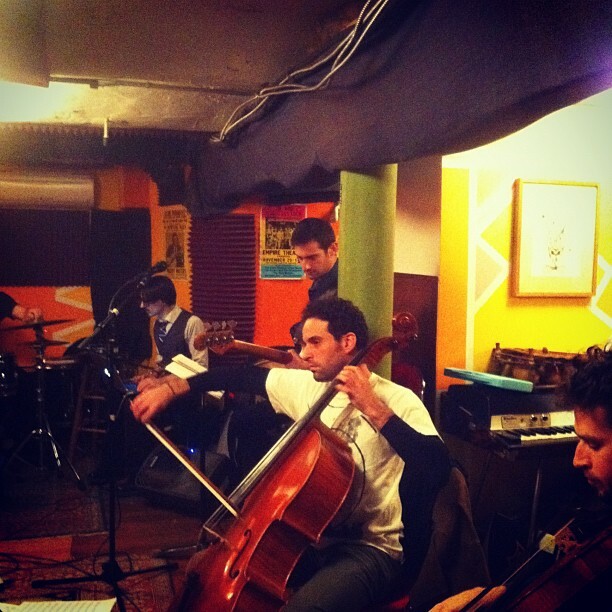 If the rehearsal pictures are any indication, she will have a string section on stage for at least part of the show. While we wouldn’t count on Stewart making this show, you never know who might show up — whether someone from the fashion world or from her wide circle of musical and theatrical friends. It’s an early show, with doors at 6:30 and the music scheduled for 7:30, with the Doorbells as her opening act. Tickets are just $12. Snap them up online or at the door. You’re in for a real adventure. This entry was posted in Art, Concerts, Music, Opera, Pop and Rock, Theater and tagged (Le) Poisson Rouge, Dave Stewart, Eileen Fisher, Jihae, Jihae Kim, John Patrick Shanley, Mercury Lounge. Bookmark the permalink.